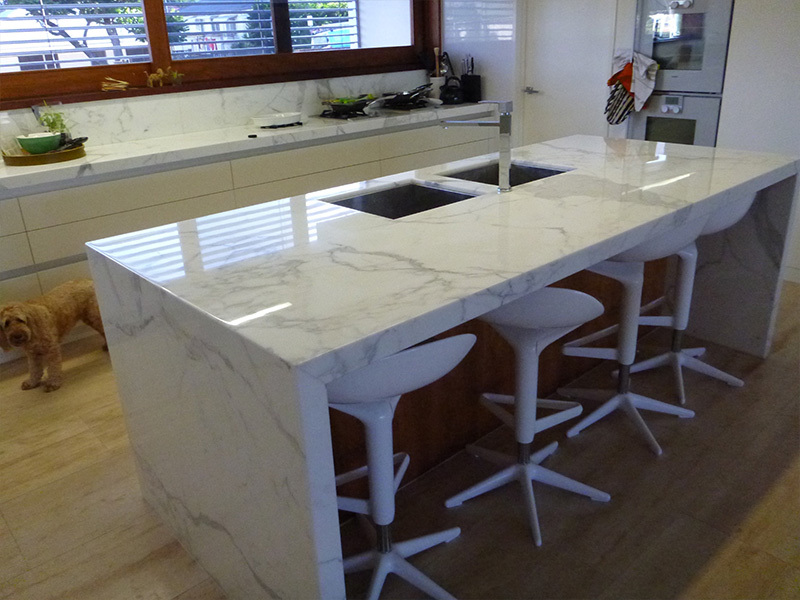 Do your marble benchtops need Stone Polishing or Honing to bring them back to life? 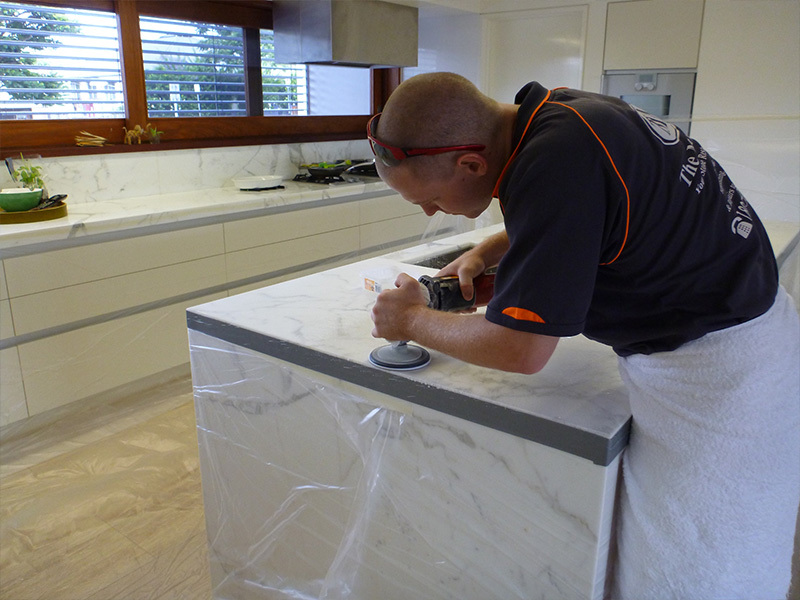 Professional stone polishing by The Marble Man will restore the high gloss or honed finish to your marble, granite, quartzite, onyx, travertine, limestone or other natural or engineered stone kitchen benchtop, bathroom vanity or furniture. Stone polishing will revive your marble or other stone surface and leave it looking and feeling fresh and magnificent. The Marble Man technicians use unique stone polishing processes developed by us over the past 27 years, and the latest diamond abrasive technology and equipment. 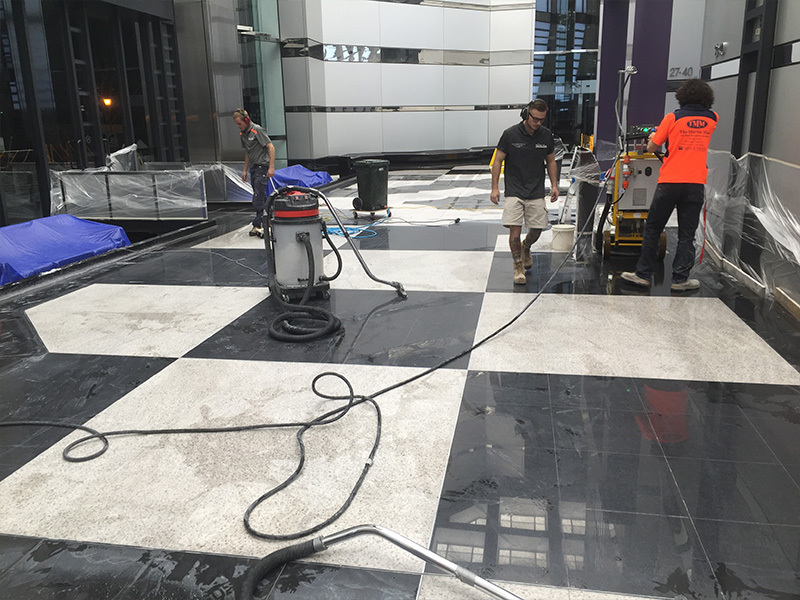 Stone polishing will remove dull spots, scratches, etching, ring marks, stains and burn marks on kitchen benchtops, bathroom vanites, bartops, countertops, coffee tables and dining tables made from natural marble and engineered stones such as Caesarstone. 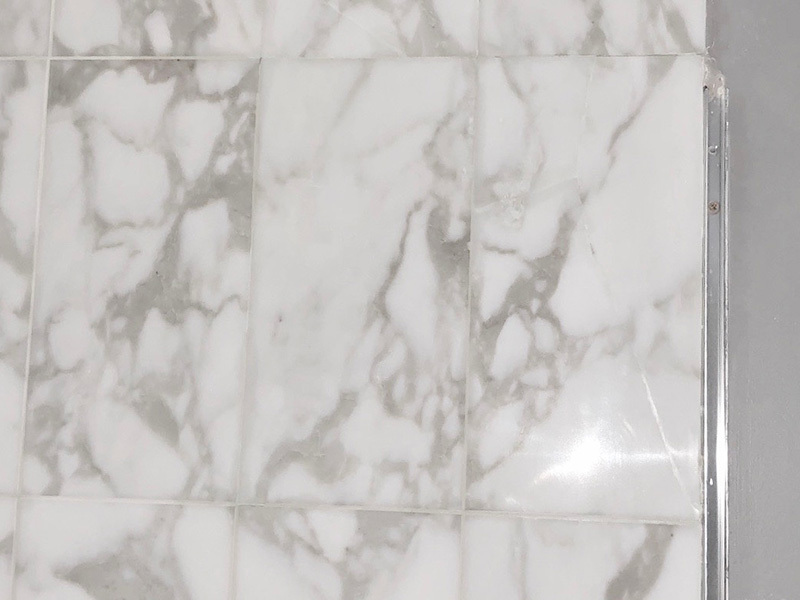 Need Stone Polishing or Honing to revive your dull and worn marble and stone floors? 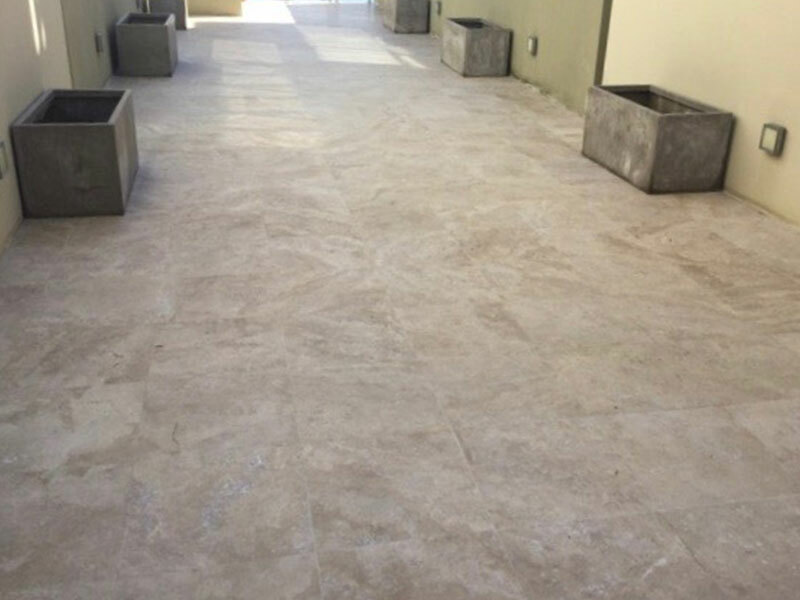 Stone polishing or honing of marble, granite, limestone, travertine and terrazzo floors can dramatically enhance the look and feel of a room. These techniques will remove scuffs, scratches, pitting and dirt in high traffic areas. The Marble man uses the latest diamond abrasive technology and equipment, products and systems to polish all types of stone floors. We carry out stone restoration in both residential and commercial developments. Our many years of experience has enabled us to develop the most effective stone polishing methods for gaining the best results. 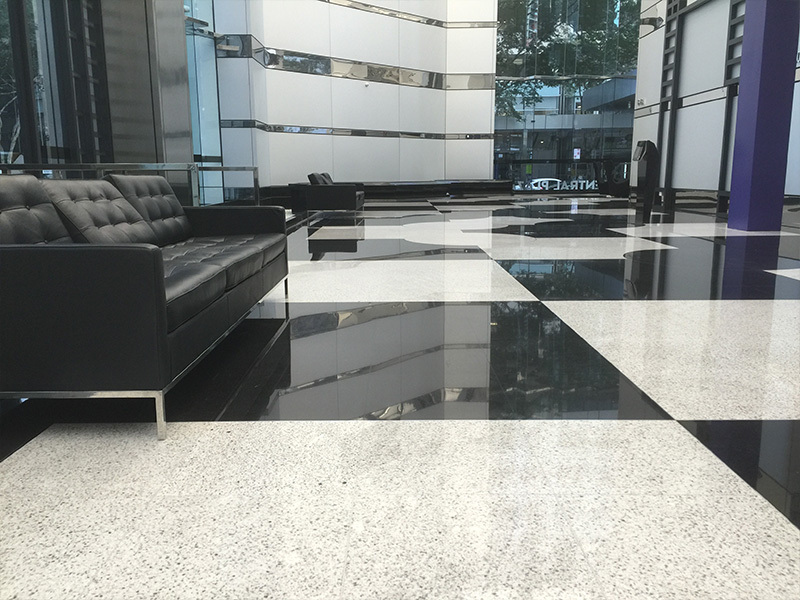 Our stone polishing techniques will leave your floors looking clean, fresh and new. Our skilled technicians will revive high traffic, scratched, dull, dirty and stained stone floors in kitchens, bathrooms, living rooms, offices and foyers. 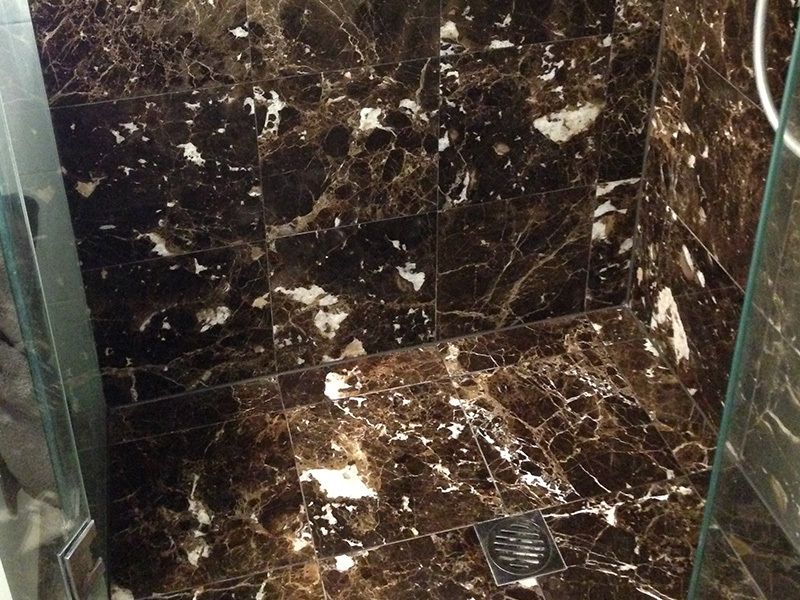 Do your showers need Stone Polishing to remove years of damage from daily use? Polished natural stone showers and bathrooms made from marble, granite and limestone and engineered stones such as Caesarstone, can look stunning when free from soap scum build up, dull patches, etching and the wear and tear of daily use. 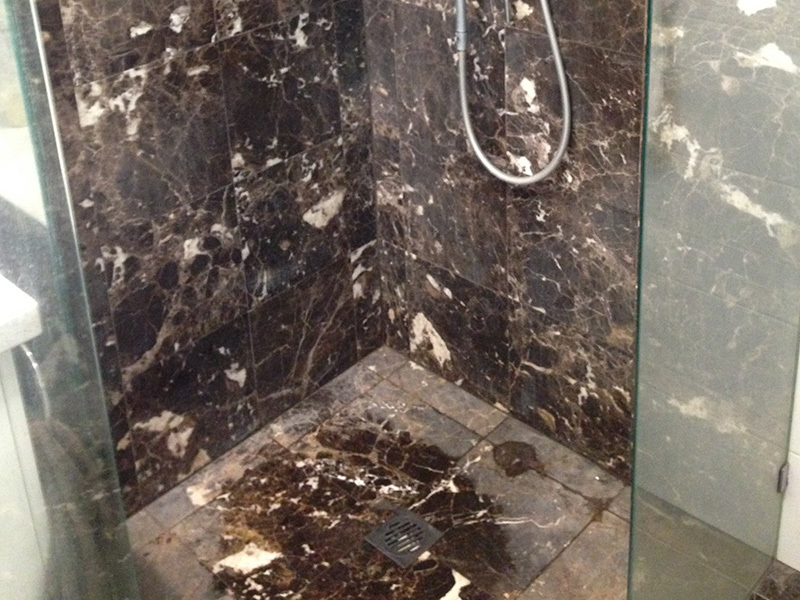 The Marble Man specialises in shower and bathroom restoration. Our special techniques will transform these commonly used areas from dull, well used and tired looking spaces into magnificent areas you will be proud to show in your home. Our Technicians are trained by us to achieve the best results possible They will leave your marble and stone showers and bathrooms looking clean, sparkling, fresh and free from soap scum and damage. Professional stone polishing will revive your stone surfaces so you can appreciate the original beauty and appeal of your precious stone. Do your outdoor pavers need Stone Honing to remove mould, dirt and damage? Outdoor pavers made from sandstone, limestone and a variety of other natural stones, are a special feature around a pool in a home or in a commercial courtyard. Professional stone honing of these areas can transform the space into a stylish entertaining area. 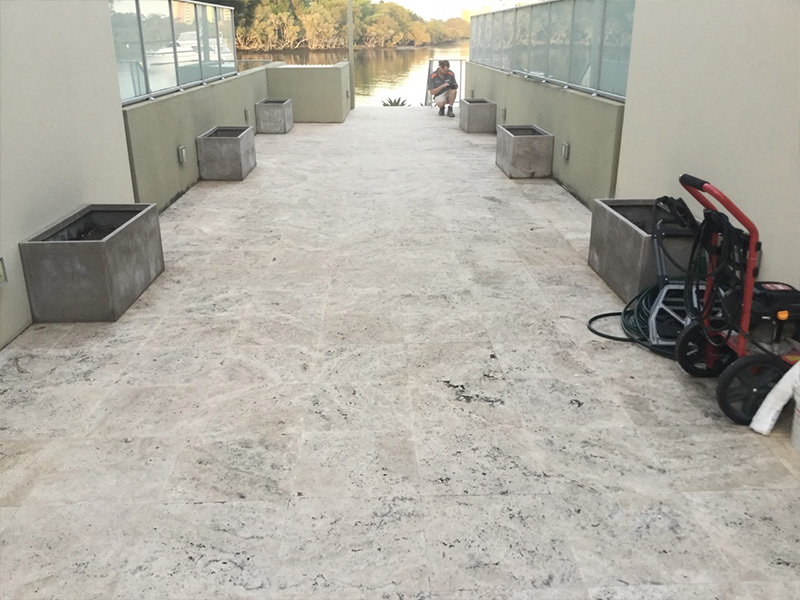 The Marble Man is a specialist in stone polishing and honing of outdoor stone pavers and reversing the effects of damage from the sun, wind, rain, pollution, pool chlorine, rust and daily use. Over many years we have refined our stone polishing and honing techniques for restoring sandstone, limestone and travertine tiles, stairs and pool surrounds. We consistently leave these areas looking clean, fresh and free from dirt, mould and the signs of daily exposure.